Sisters and Associates continued their visits with a gathering at the SCN Center in Belize on Saturday. Six Associates from Dangriga arrived early on Friday afternoon after a long three-hour bus ride. Following some wonderful conversations and a get to know one another session, Sisters prepared a delicious spaghetti dinner! Saturday morning began with three Inquirers and ten Associates from Belize City joining the group. 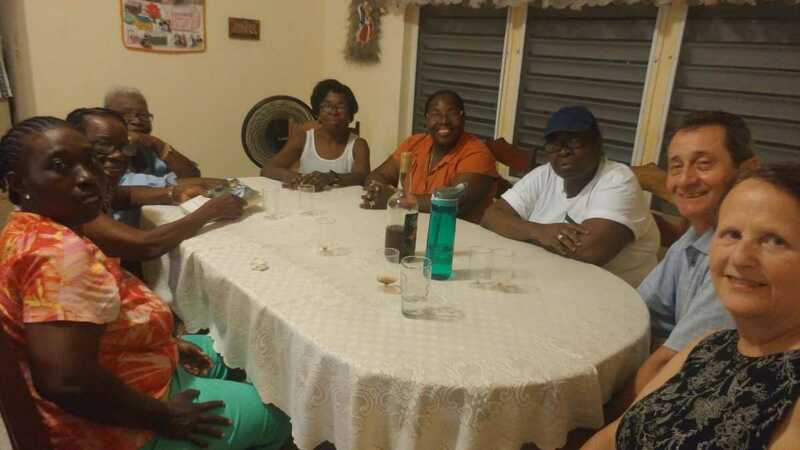 Bev Hoffman, SCN, hosts the Belize City group monthly for prayer and fellowship. Andy and Sister Bev presented a PowerPoint on the SCN Associate history and the current formation process with the opportunity for questions. After the presentation Associates brainstormed ideas for future projects and ministries. Plans were made for ongoing communication and collaboration between the Western Province Associate Office and SCNs/SCNAs in Belize. All enjoyed a delicious lunch and said their goodbyes. I am so happy that the SCNA gathering went well. I’m envisioning the ‘spirit of S. Mary Lynne Field’ was present with them! Thanks to all who planned this gathering.